We partnered with United Utilities for the first time in 2017. The water and wastewater company redoubled its innovation efforts with an in-house collaboration programme where early-stage and growth-stage companies worked on developing products with the potential to make services better, safer, faster and cheaper for customers. The Innovation Lab provided essential insight into the disruptive technologies shaping the sector and inspired an entrepreneurial mindset capable of speeding up progress. Using our specialist knowledge of the startup ecosystem and through engaging growth hubs (local public/private sector partnerships led by Local Enterprise Partnerships), we secured 42 high-quality applications from around the world. Because some of the startups submitted more than one innovation idea, United Utilities had 84 exciting projects to choose from. 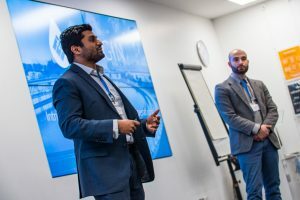 Of the 19 teams invited to Pitch Day, seven startups were invited to join the collaboration programme at the company’s head office in Warrington. Of the seven startups that participated, six ran trials during the accelerator programme and three were invited to set up supply agreements. A further two teams are involved in ongoing trials with United Utilities. 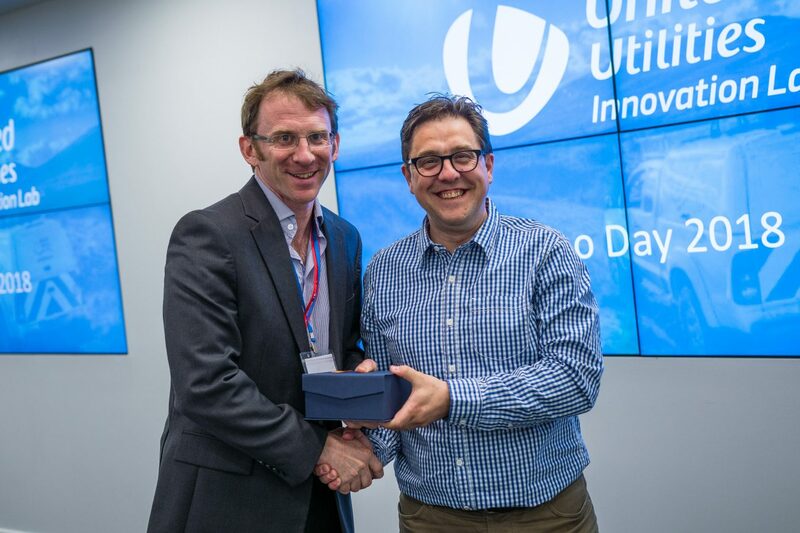 Emagin, a provider of water and wastewater facilities with an operational intelligence platform called HARVI secured a commercial relationship with United Utilities following their participation in the Innovation Lab. Emagin’s platform supports real-time decision making for the control of critical assets, providing optimised recommendations based on 24-hour predicted system responses. The Emagin team is now looking for new market opportunities with a view to adapting their technology.